This little crochet flower motif was a failure. I think it was supposed to be flat. Whatever it was meant to be it wasn't supposed to turn out like this. And yet, I've kept it. Why? Well I thought I might be able to do something with it, like turn it into a pincushion cover...accept I don't like it. This crochet project is a no-brainer. I'm frogging it. ...I stopped writing, and went and frogged it and took photos as proof. 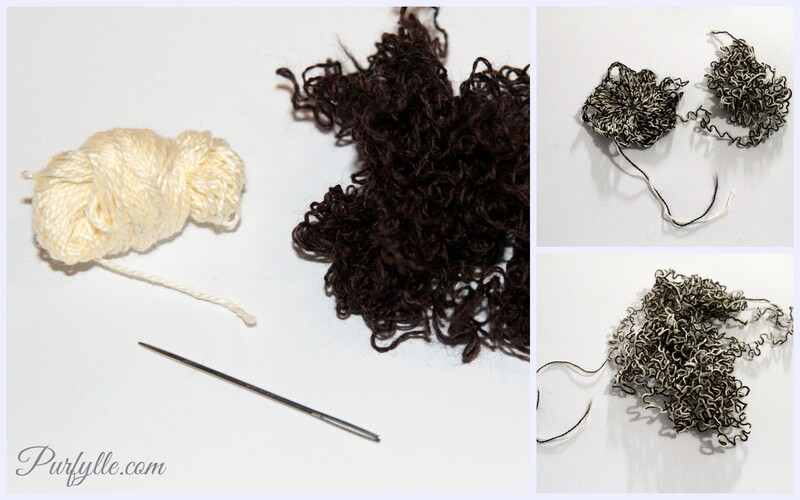 I threw out the nasty brown wool scraps and put the nice lemon cotton away with the rest of the ball it came from. I'm still working on those little crochet granny squares and the joining has begun! In fact it's well under way. Once I got the edging under way back in mid May I couldn't help myself and I barely managed to pick up another project in-between although I did get a few done here and there. But once the last square was edged I've been really excited about getting the joining done and having this project finished. If all goes well I'll be showing you a completed throw in no time! 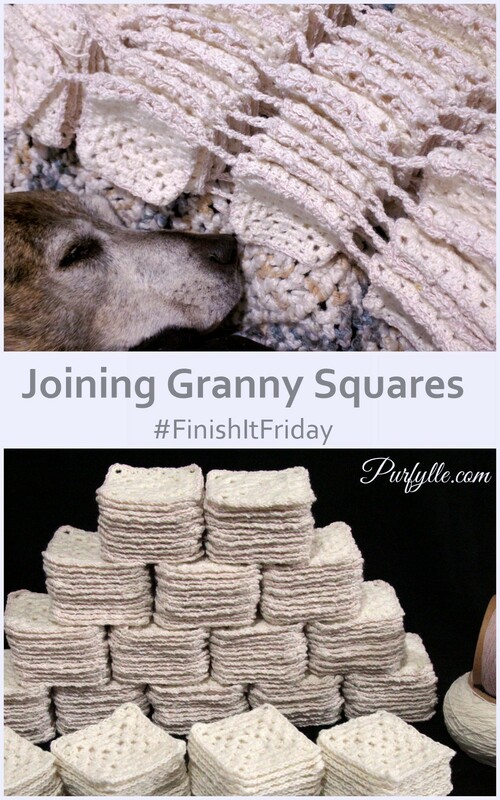 This is what I had to say the first time I talked about this crochet project on Finish It Friday. "YES, but I get bored of it sometimes and it gets put away for a while in favour of other projects." But now, I am jumping out of my skin with excitement to finish this project. 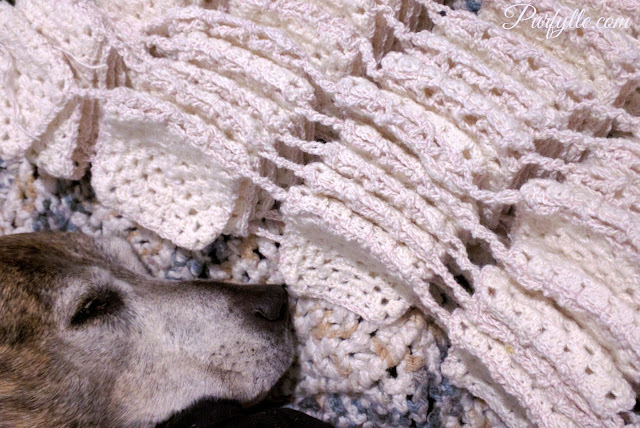 And this is what I had to say about continuing work on this crochet throw. "YES, I hope to even finish it one day." Now 'one day' has turned into this week! Yay, more progress on your blanket! I hope it continues to go as planned. It's a nice feeling when you move from making squares to putting them together. And then after the joins it's time for edging, which always feels like a real hurdle for me. I have a few of those 'what is that and why did I make it's' That's the best name for them! I think perhaps I thought that I could use the fail to figure out what I did wrong but then I didn't try again. And I, who am not a real knitter, applaud you on showing that we all have failures. Not that I think it makes people feel better about themselves when they fail, too, but that it's a part of learning, getting better, and figuring it out. And you didn't take your needles and hide them in a drawer either! If only all bloggers would occasionally mention that they screw stuff up, I think it would show that effort gets the A every time. A perfect finish is not the only goal out here. Clapping at your effort and excellent post! !